Several decades ago, it was common for people to work at one company for twenty or thirty years. In today’s gig economy, such long-term stability is rare. Yet most employers still see an unstable work history as a major red flag. It indicates to them that the applicant may be unfocused, uncommitted, or a problem employee of some sort. Problem: One large gap. There is a period of several years when you were not working. Solution: Fill it in with something. Were you going back to school during that time? Doing volunteer work? Operating a small business or working freelance? Serving as a caretaker for your children or parents? All of these are activities that you can (and should!) put on a resume to explain away the gap. You want to show them that you were using your time productively, even if it was in a way that’s not directly relevant to your career field. Tutored several middle- and high-school students in English grammar and literature. Managed insurance relations and payments. Coordinated medical care, including medications, therapy, and doctor appointments. Problem: Several small gaps. There are a few gaps of six months or less in your work history. Solution: Use only years of employment, not months. This strategy will cover any gaps which are less than a year in duration. Rang up purchases and processed payments. Assisted customers on sales floor. Provided customers with expert knowledge of flooring products. Problem: Multiple jobs at once. You have frequently held two or three jobs at a time, which means that there are a lot of jobs in your work history. Solution: Delete some of the jobs. For each time period you need to cover, choose one job from your list – ideally, the most impressive job with the most relevant skills. Remove the others, and add the phrase “Additional work history available upon request” to the bottom of your work history. Supervise staff of 5; open store daily. Assisted customers and ran cash register. Cooked meals to order in a fast-paced kitchen. Additional work history available on request. Problem: Staffing agency jobs. You’ve had several short-term jobs, with gaps between them, which you found though a staffing agency. Solution: List the staffing agency as your employer. You can list more detailed information about the types of work you did and the companies you worked for in the bullet points of your job description. But by grouping it all together under the staffing agency, it looks much more stable. Worked a variety of short-term clerical jobs. Locations included Neighbors Credit Union, Brown Dentistry, AllState Insurance, and GMP. Performed data entry, filing, scanning, faxing, copying, and database management. Problem: Short-term jobs. There are jobs in your work history which lasted less than a year. Solution: Delete some of the jobs, and use only years of employment, not months. Ask yourself whether it’s helping you to include these short-term jobs. If you can delete them without removing crucial experience, and without leaving large/numerous gaps, then do so. If not, see if you can group them together (see next Solution). Manage ward of 12 cardiac care patients. Provided sole medical care for elderly invalid. Performed triage and assisted doctors in busy ER. Problem: Short-Term Contracts/Projects. This is especially common in such fields as construction, where you move from job to job whenever projects are completed. If you only have one or two positions like this on your resume, simply add “Contract” or “Seasonal” to your job title. But if you have several such positions, you’ll need a new approach. Solution: Group similar jobs together under one title. Give this entry a title which covers the general type of work you did, then get into the specifics in the job description below that. Performed industrial carpentry painting work for several local construction projects. Worked with Turner Industries, CB&I, Brock Construction, and Broh Brothers. Problem: None of the previous solutions worked. If you tried the tricks above, but are still not able to put together a resume that will impress hiring managers and hide your unstable work history, you may need to completely re-think the structure of your resume. Solution: Use a functional resume. This strategy emphasizes your skills and qualifications while downplaying your chronological work history. The largest downside of the functional resume is that it can be very difficult to write. The good news is, the Career Center can help! Example: We have two templates for functional resumes, as well as a previous blogpost about how to use a functional resume to cover an unstable work history. If you would like some help with your resume, please visit the Career Center of the East Baton Rouge Parish Library at any time during our opening hours for free expert assistance. Patron: I need to update my resume. It’s in PDF format. How do I make changes? Staff: I’m sorry but you can’t. A conversation like this happens quite often in the Career Center. Many of our clients don’t realize that the choice of format in which they save their resume can affect their ability to make changes to the resume. Many computers – including the library’s computers – do not have the software necessary to edit PDF files. So, why do so many people use PDFs? And if your resume is PDF only, what can you do about it? One of the great advantages of having a PDF version of your resume is that it cannot be altered by another person or a computer program. Therefore, it can be a good idea to submit your resume as a PDF in an email or an online application, so that it will arrive with all of your formatting intact. However, this feature of PDFs is a double-edged sword. No one else can make changes to your document – but neither can you. If you want to add a new position, or change your email address, or fix a typo, you will be out of luck with a PDF. Therefore, we strongly urge you to save your resume (and cover letter, references, etc.) in an editable format such as Microsoft Word. You may also save each document as a PDF for online submission if you’d like,* but you need a Microsoft Word copy so you can make changes. *Recently we learned websites that use ATS (Automated Tracking System) do not read PDFs very well. Even if a website allows you to upload your resume in PDF format, it is better to submit it in a Microsoft Word format such as DOC or DOCX. My resume is pdf only. how do i fix that? Convert it using Word. Word 2013 and 2016 are able to open a PDF and convert it to Word format. This is the most effective and hassle-free option. However, it will not work with a scan. It only works with documents that were created in MS Word but saved as PDFs. Use Google Drive to convert it. Obviously, this one only works if you have a Google account. Upload the PDF to your Drive and open the file as a Google Doc. Then, in the menu bar, go to File -> Download as -> Microsoft Word (docx). Again, this technique does not work with scans. Use PDFtoWord. This website converts PDFs to Word documents and produced good results when we tested it. However, it will not work with a scan. Run it through Optical Character Recognition (OCR). OCR recognizes letters and words in your scanned file and turns them into text. Some websites can run an uploaded file through OCR and then convert it into a text file in MS Word. We had good results doing this through OnlineOCR, DocsZone, and PDFtoWordConverter. However, please be advised that quality is not guaranteed – sometimes, formatting is lost during the conversion process, particularly if your resume is highly formatted. If all else fails, re-type it from scratch in MS Word. It takes time, but it will be worth it. See Wikihow for more detailed instructions on converting PDFs to Word. I don’t have microsoft office; what do i do? You are welcome to use the library for this purpose; all of our branches have MS Word on our computers. Alternately, you can use a free application such as Libre Office, which is very similar to MS Office and compatible with Macs and Linux. If you would like in-person help with writing or formatting your resume, come to the Career Center at the Goodwood Library where trained staff can assist you. This is the third post in a series of posts about the most common and damaging mistakes jobseekers make. Read the full series here. 1st blunder – one resume fits all. No, it usually doesn’t. Ideally you want to adjust your resume to each job you are applying for. Most times, it just needs little tweaks and not major rewrites. If you are applying through an Applicant Tracking System (ATS), each resume needs to contain as many of the keywords in the job description as possible to make it through the ATS. Those keywords will differ from job to job. 2nd blunder – an unfocused resume. You have done a lot of good work in your life and you want every potential employer to see all you can do. That’s understandable, but you don’t want to drown the reader in irrelevant information. Be strategic about what you include in your resume. You want to stress those parts of your experience that are most relevant to the job you are applying for and minimize the experience that is not relevant. You also don’t want to go back too far in time. Normally going back about 15 years is customary. Resume space is at a premium; use it wisely. The reader will only spend a few seconds skimming it. Those few seconds need to be enough to convey that you have what they are looking for. 3rd blunder – no accomplishments. Everybody has accomplishments! Many job searchers don’t recognize their accomplishments and see it as “well, that’s just part of my job”. Don’t sell yourself short! Talk to colleagues and friends (or resume writers and career coaches) and let them help you identify what you do well. Then include those accomplishments in your resume. 4th blunder – not proofreading your resume. You have created a top notch resume, focused and filled with relevant accomplishments and keywords. You have read it a thousand times, so it must be okay, right? Too often it’s not. After working on a document for a while, you are not able to recognize the little typos and mistakes. Give your resume to a friend to proofread!!! Grammatical mistakes and typos will usually get you screened out right away. Recruiters will interpret it as carelessness. MRW – Master Resume Writer: only very experienced resume writers get this credential. ACRW – Academy Certified Resume Writer: this credential is given after a comprehensive certification class, exam and document submission for review. CPRW – Certified Professional Resume Writer: resume writers have to pass a test and submit a resume for review. Resume writing includes substantial communication between the writer and the job seeker. If your resume writer does not ask you many questions, or only asks you to complete a standard written form and then doesn’t talk to you again, beware. 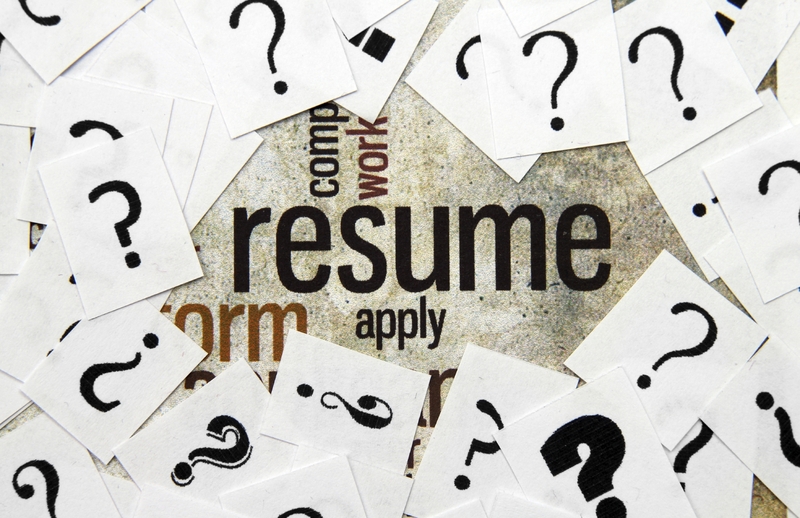 You can learn more details about resumes in our previous blog posts on the topic. If you need assistance in creating a resume, call the Career Center at 225-231-3733, and we can help (we actually have two Certified Professional Resume Writers on staff). More information on resumes and a number of templates can be found here. The Career Center recently presented a pair of job search seminars at a local correctional facility, focusing on the resume and the job interview for ex-offenders. Here are some of the greatest takeaways from those seminars. Should I include my criminal record on my resume? You do not have to mention your incarceration at all on your resume. But be prepared to discuss it in the interview. The difference is, the interview will give you a chance to explain your record and ease the hiring manager’s worries. The resume will not. If you don’t mention your incarceration on your resume, there will be a gap in your work history. You may need a functional resume to cover that gap. If you gained valuable skills, education, or work experience in prison, you probably should put it on your resume. You may even be able to disguise it, so that it’s not obvious that you were incarcerated. 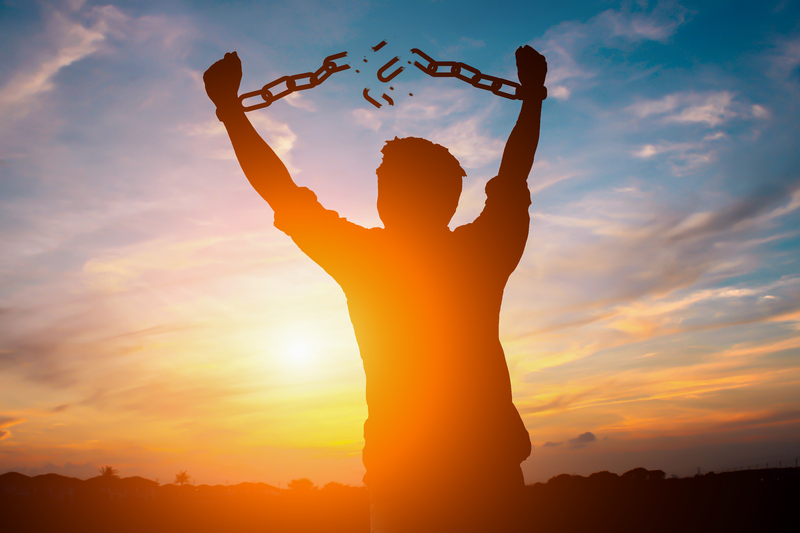 Whether or not you include your incarceration, make sure that your resume highlights the skills you have which are most relevant to the jobs you’re applying for. how can I disguise my incarceration on my resume? Use the name of the state or parish, not the name of the prison, when listing work experience. Use the name of the contract company you worked for while incarcerated. Make it look like you work directly for the prison. For educational programs, use the name of the organization that provided your training. should I include my criminal record on the application? Only mention your incarceration if they specifically ask about it. Since the passing of “Ban the Box” laws, a lot of applications no longer ask if you have a criminal record. If they don’t ask, don’t tell. The best time for you to discuss your criminal record is in the interview. If they do ask about your criminal record, you must answer honestly. But don’t just say, “Yes.” Take the opportunity to explain your record. Don’t appear hostile, negative, or unrepentant. Don’t blame other people. Instead, take responsibility for your mistakes, and emphasize your path to rehabilitation. 70millionjobs.com, a job search website devoted entirely to companies willing to hire people with criminal records. Any book by author Ronald Krannich, including The Ex-Offender’s Re-Entry Assistance Directory, The Ex-Offender’s Quick Job Hunting Guide, Best Resumes and Letters for Ex-Offenders, and The Ex-Offender’s Job Interview Guide. All of these books may be checked out from the East Baton Rouge Parish Library. The Career Center (inside the Main Library at Goodwood, 7711 Goodwood Boulevard) can offer personalized assistance with job search strategies, online applications, resumes, and interviews. For most jobseekers, writing a resume is largely a matter of describing their previous work experience. This can be frustrating for young people, who often don’t have much real-world experience. Thus, a young person or new graduate may want to take a slightly different approach to resume-building. Here are some helpful tips. For someone in or fresh out of school, your education is the most valuable thing you have to offer. Therefore, you want to put it near the top of your resume – above work experience – and go into fairly extensive detail. Include the name of your degree and school, your major and minor, your date of graduation, and your GPA (if it’s 3.0 or better). Additionally, you may wish to include information about your most relevant courses taken, internships completed, academic awards received, and extracurricular activities participated in. You may include those things as part of the Education section, or you may create individual sections for each. As a fresh grad, you won’t have much work experience. But you may have more than you think. Brainstorm. If you had a part-time job in high school or college as a cashier, babysitter, tutor, housecleaner, or lawnmower, you can include that. If you had an internship or externship, you can include that. If you volunteered with an organization for several months, you can include that – list it as you would a normal job, but include “Volunteer” as part of your job title. For each job you list, focus on your skills and accomplishments at that job which are most relevant to the kinds of jobs you’re applying for. If you don’t have much work experience, you can flesh out your resume by including the other things you do have. Make a list of everything you’ve done, then organize it into categories. Popular categories include: Academic Awards, Athletic Honors, Extracurricular Activities, Leadership Experience, Volunteer Work, Clubs, Computer Skills, Office Skills, Languages Spoken, and Achievements. The Career Center has three templates specifically designed for new graduates: here, here, and here. You may also check out these books from the East Baton Rouge Parish Library for ideas: Best Resumes for College Student and New Grads, Creating Your High School Resume, and Resume 101. Alternately, if you would like personalized help in putting together your resume, please visit the Career Center inside the Main Library at Goodwood, 7711 Goodwood Boulevard, Baton Rouge, LA. When you write a resume, there are several criteria to keep in mind for how you present yourself. You of course want to focus on highlighting your best accomplishments and most relevant skills. You want to keep your resume relatively short and easy to read. You also want to make sure that your resume is visually appealing, clearly formatted, and free of typos. But there’s one more thing you might be judged on of which you may not be aware: your age. Skilled employees with decades of experience may be perceived as too old for the job. Here are some tips to avoid the perils of age discrimination. At this point in your career, your work experience is usually more valuable than your education. Therefore, unless you graduated recently, your education should go to the bottom of your resume. Likewise, unless your degree is fairly new, you should give only a minimum of information about it – name of degree, name of school, city and state, and major (if applicable). Do not include dates of graduation if it’s been more than 10 years. You do not want to open yourself up to age discrimination. Sometimes, there is a compelling reason for a jobseeker to want to include experience which is more than 20 years old. Perhaps you have a large gap in your recent work history and need to go back farther to establish your experience. Perhaps you’re trying to return to a field that you used to work in 25 years ago. Please be aware of the age discrimination issue, and weigh carefully whether including older information will help you more than it hurts you. If you decide to include older experience, you may wish to use a functional resume template such as this or this, which draws attention away from dates. Here are two articles with more detailed information on how to write a functional resume. For more information on the special rules for jobseeking as a senior citizen, you may wish to check out Getting the Job You Want After 50 for Dummies or 50 Steps for 50 Year Old Job Seekers from the East Baton Rouge Parish Library. Alternately, if you would like personalized help in putting together your resume, please visit the Career Center inside the Main Library at Goodwood, 7711 Goodwood Boulevard, Baton Rouge, LA. One of the most crucial parts of writing an effective resume is choosing the right format. We usually distinguish between chronological, functional, and hybrid formats, with each having distinct pros and cons. To that end, we will be discussing different resume formats and which ones work for which job seekers. Today, we’ll look at the hybrid resume format. The hybrid resume template is, as it sounds, a hybrid of the other two types of resumes we previously discussed: chronological and functional. The chronological resume is a straightforward listing of chronological work history: where you worked and when. The functional resume, also discussed here, takes the opposite approach: it focuses on your skills and accomplishments, while de-emphasizing chronological work history. The hybrid resume aims to give you the best of both worlds. It includes detailed information on your chronological work experience, but also has specialized sections which allow you to highlight your unique competencies, accomplishments, and personal branding statements. Check out our examples: basic professional and advanced professional. The hybrid resume’s main advantage is that it avoids some of the disadvantages of the other resume formats. A chronological template may not work for you if you’ve had several different types of jobs, because it may look scattered and unfocused. By giving you a place to include a branding statement and highlight your most relevant skills, the hybrid resume helps you bring a uniting thread to your resume, focusing the hiring manager’s mind on the best parts of your experience. Likewise, a functional template can be risky because the unusual format can be off-putting to hiring managers. The hybrid resume allows you to use a more orthodox format which showcases your stable work history, while still giving you a place to emphasize your best skills and achievements. Due to its flexibility, the hybrid resume can work well for most jobseekers. It is also the preferred format for mid-to-upper-level professionals such as managers and executives. Although the hybrid resume works well for a large number of people, it is not the best choice for everyone. The functional format may work better for someone with a nontraditional work history (large gap, no relevant experience, etc.) or someone with a single-track career doing the same exact job at several different companies. Our best advice is to read about all three types, then choose the one which you believe would paint your experience in the best light. Contact information: Your name, physical address (optional), phone number with area code, and email address. You may also include your LinkedIn URL and/or website URL. Personalized Sections: This area has the flexibility to let you get creative. You may choose to start with a tagline, profile statement, or professional summary — some sort of brief statement to introduce who you are and what you have to offer. You may also have a section that lets you emphasize the best things you have to offer, in an attention-grabbing list at the top of your resume. You might call that section Key Skills, Achievements, Core Competencies, or Accomplishments. Depending on your field and career level, it may also be appropriate to include a list of Professional Memberships. Look at our two examples for inspiration, and if you’re still not sure what to include, check for examples of hybrid resumes online and in resume books. Work History: Start with the most recent job and work your way back. Include the name of each company, city and state of the company’s location, your job title there, your dates of employment, and a job description. There are two different ways of handling the job description, as shown in our two different examples. Our basic professional example lists each job duty as a separate bullet point. Your bullet points should start with strong action verbs and give a good general idea of what you did on the job. Make sure to highlight: awards or promotions, experience training or supervising others, using specialized software or equipment, leading workshops or presentations, and any other special achievements on the job. Our advanced professional example has a different approach. For many management-level professionals, including the details of every job duty would be overwhelming. Instead, this resume starts each job description with a brief paragraph summarizing the job duties. The bullet points are reserved for specific accomplishments. Education: This would be the place to include academic degrees (bachelor’s, master’s, etc. ), vocational certifications (teaching license, LPN, etc. ), and industry credentials (CPA, TWIC, OSHA, etc.). Remember to include the name and type of diploma earned, the name of the school, and the city and state. Depending on your field and career level, it may also be appropriate to include a subsection called Continuing Education or Professional Development, in which you’ll list the ongoing educational courses you have taken relevant to your field. Important note: do not include graduation dates for anything which is more than 15 years old. Doing so could make your degree look outdated and open you up to age discrimination. In addition to these tips, you can come by the Career Center in person anytime during business hours for one-on-one help with your resume. One of the most crucial parts of writing an effective resume is choosing the right format. We usually distinguish between chronological, functional, and hybrid formats, with each having distinct pros and cons. To that end, we will be discussing different resume formats and which ones work for which job seekers. Today, we’ll look at the functional resume format. The functional resume format is the opposite of the chronological format which we discussed previously. Whereas the chronological format was all about where you worked and when, the functional format minimizes your chronological work history. Instead, the functional format focuses on your skills, key competencies, accomplishments, and highlights of experience – basically, what makes you special and uniquely qualified. In another post, we discussed how the functional resume can benefit job seekers with nontraditional career paths. Today, we’ll look at the other type of job seeker for whom the functional template is a good choice. The functional resume format works well for people who have a long history working in a single career at multiple locations. For people with this sort of “single-track” career, the functional template can prevent redundancy. For example, if you’ve worked as a nurse at five different locations over the past twenty years, doing pretty much the exact same job at each location, you may not want to write out the exact same duties and skills five times on your resume. Instead, you can use a functional template to describe all of your job skills and experience without being repetitive. This can be especially advantageous for older job seekers whose best work accomplishments may have been many years ago. The functional template allows you to put your best achievements at the top of your resume, regardless of when they occurred. The primary disadvantage of the functional resume is that it can be hard to write. Since you have an extensive work history in the same field, you will not be able to put everything you’ve ever done on a resume. You will have to focus on the most valuable and relevant information. This means that you will need to search your memory and determine your best skills and accomplishments, even stretching back over decades. The process of writing a functional resume is time-consuming and complex. However, in most cases, the extra work is worth it, because a functional resume will prevent you from having a lengthy resume which repeats the same phrases over and over. Contact Information: Your name, physical address (optional), phone number with area code, email address, and LinkedIn URL (optional). Personalized Sections: This is the largest section of the functional resume, and the least rigidly structured. This is where you get to be creative. No two functional resumes look exactly alike – you need to find the best way to present your skills and qualifications. You may start with a summary of qualifications, a short paragraph of keywords describing your best skills, and then move to a “highlights of experience” section, where you detail some of your relevant experience. Or, you may start with a large, bullet-point-filled skills section, then have a key accomplishments section where you brag about the best stuff you’ve done. Or, you may divide it up into several sections of key competencies. Look at our example for inspiration. This resume is for a seasoned employee who’s trying to condense an extensive career into a succinct document, while drawing attention away from how old some of his best experience is. He begins with a detailed list of his most relevant skills as an office manager and bookkeeper, then highlights a few of his greatest accomplishments from throughout his career. If you’re still not sure how to format your functional resume, check for examples online and in resume books. Work History: This section will be brief and near the bottom of the resume. Each entry in this section will consist of your job title, company name, city and state, and dates worked. Nothing else is needed, because all the details are included in your personalized sections. Education: This would be the place to include academic degrees (bachelor of science, associates degree, etc. ), vocational certifications (teaching license, LPN, etc. ), and industry credentials (CPR, TWIC, OSHA, Servsafe, etc.). Remember to include the name and type of diploma earned, the name of the school, and the city and state. The functional resume is the opposite of the chronological resume, which we previously discussed here. Whereas the chronological format was all about where you worked and when, the functional format minimizes your chronological work history. Instead, the functional format focuses on your skills, key competencies, accomplishments, and highlights of experience — basically, what makes you special and uniquely qualified. 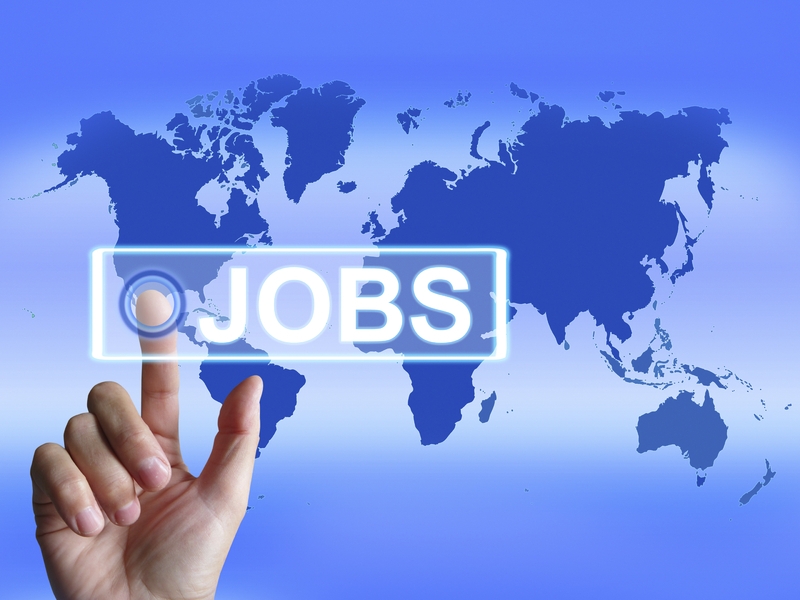 There are two categories of job seekers who can benefit from using a functional template. Today, we’ll look at the first category: people who have had a nontraditional career path. The second will be discussed in a follow-up post. The functional resume format is the best choice for people whose chronological work history is problematic in some way. The format works well for people with unstable work histories or a lack of recent relevant experience. If you have a history of job-hopping or short-term jobs, or if you have a large gap in your work history, this format can help cover up that fact. Likewise, if you’re applying for a job in a new field in which you’ve never worked — or if you’re returning to a field that you’ve been out of for many years — a functional resume lets you discuss your relevant transferable skills, without much emphasis on when and where you learned them. What qualities does the company want for this position? What do I have in terms of skills and experience? How can I make what I have match up with what they want? The process of writing a functional resume is time-consuming and complex. Additionally, since it’s a very personalized format, you may need to do major tweaks to it before applying for each new job, to ensure that your skills match up well with the job description. However, in most cases, the extra work is worth it, because employers will see you favorably, whereas a chronological format might not paint you in the best light. The secondary disadvantage of the functional resume is that hiring managers know that this format is often used to hide weaknesses. For that reason, some recruiters are wary of taking a closer look at someone with a functional resume. However, the functional template is nevertheless the best choice for some job seekers. It is a better option than a resume that flaunts weaknesses. Personalized Sections: This is the largest section of the functional resume, and the least rigidly structured. This is where you get to be creative. No two functional resumes look exactly alike — you need to find the best way to present your skills and qualifications. You may start with a summary of qualifications, a short paragraph of keywords describing your best skills, and then move to a “highlights of experience” section, where you detail some of your relevant experience. Or, you may start with a large, bullet-point-filled skills section, then have a key accomplishments section where you brag about the best stuff you’ve done. Or, you may divide it up into several sections of key competencies. Look at our example for inspiration. This is a resume for a schoolteacher who is positioning herself for a career in a new field — office management. Although she’s never worked in an office before, her work as a teacher has given her the skills to supervise, train, motivate, and coordinate. So she focuses on the transferable skills that she has, breaking them into areas of key competencies and discussing some of her achievements in each field. If you’re still not sure how to format your functional resume, review examples online and in resume books. Work History: This section will be brief and near the bottom of the resume — after all, this is the section of the resume you don’t want to draw attention to. Each entry in this section will consist of merely your job title, company name, city and state, and dates worked. In addition to these tips, you can visit the Career Center in person anytime during business hours for one-on-one help with your resume. One of the most crucial parts of writing an effective resume is choosing the right format. We usually distinguish between chronological, functional, and hybrid formats, with each having distinct pros and cons. To that end, we will be discussing different resume formats and which ones work for which job seekers. Today, we’ll look at the chronological resume format. A chronological resume focuses entirely on your reverse chronological work history: where you worked, when you worked there, and what you did there. Check out a sample chronological resume here. Take note that nowadays, most resumes designed for white-collar professional work include large sections of chronological work history, but are are not considered chronological resumes. These more complex templates are called hybrid or combination resumes, which will be discussed in a later article. Here, we will examine the strictly chronological resume. The chronological resume is a very straightforward and easy format to follow. Because of its simplicity, the format draws a hiring manager’s eye quickly to the applicant’s work history. It works well for people who have a stable work history with several years of relevant experience. This format is often used by job seekers who work in blue-collar industries, including truck drivers, laborers, skilled tradesmen, and plant operators. This template is also sometimes favored by job seekers in fields such as care taking, dish washing, and housekeeping, whose job duties are relatively uniform and require little explanation. There are several types of job seekers for whom this format is not a good choice. The chronological resume focuses entirely on work history — so if you have an unstable work history, this format will bring attention to that. Likewise, if you don’t have much experience in the field you’re applying for, this format will emphasize that fact. Additionally, this format offers no place to highlight your specialized skills, so it is a poor choice if you are in an industry which requires specialized training or abilities — such as information technology, nursing, or engineering. Finally, this format may be seen as too simplistic for job seekers in professional office, administrative, or management positions. Contact Information: Your name, physical address (optional), phone number with area code, and email address. Work History: This will include the name of each company, city and state of the company’s location, your job title there, the dates of your employment, and a job description. The job description should give the recruiter a good idea of what you did on that job. Make sure to include specifics about awards or promotions you received, experience training or supervising other employees, special software or equipment you used (such as a forklift or POS software), presentations or workshops you led, and any other special achievements you had on the job. I recommend listing each job duty or accomplishment as a separate bullet point, and starting each bullet point with a strong action verb. Start with the most recent job and work your way back. Education: This would be the place to include academic degrees (GED, associates degree, etc. ), vocational certifications (certified welder, CNA, CDL, etc. ), and industry credentials (TWIC, OSHA, NCCER, Servsafe, etc.). Remember to include the name and type of diploma or degree earned, the name of the school, and the city and state. In addition to these tips, remember that you can come by the Career Center in person during business hours for one-on-one help with your resume.